MMA legend Connor McGregor resigns!? Connor Mcgregor has resigned from MMA! McGregor then went on the say "I wish all my old colleagues well going forward in competition. I now join my former partners on this venture, already in retirement. Proper Pina Coladas on my fellas!" Before McGregor made it official, there were already indications that he was going to be resigning from MMA. As recently as last month, figures were predicting that he could fight in 2019 once again, maybe even twice, but McGregor's career was already overshadowed by his behaviour outside of the ring. What was his most recent fight? Connor's most recent fight was in October with Khabib Nurmagomedov, who beat McGregor. Later on, after that fight, a brawl had burst out which created implications for Connor giving him a six-month suspension which is due to expire on April 7. But McGregor still has an income from his Proper No. Twelve whiskey business, which is still keeping him financially stable. 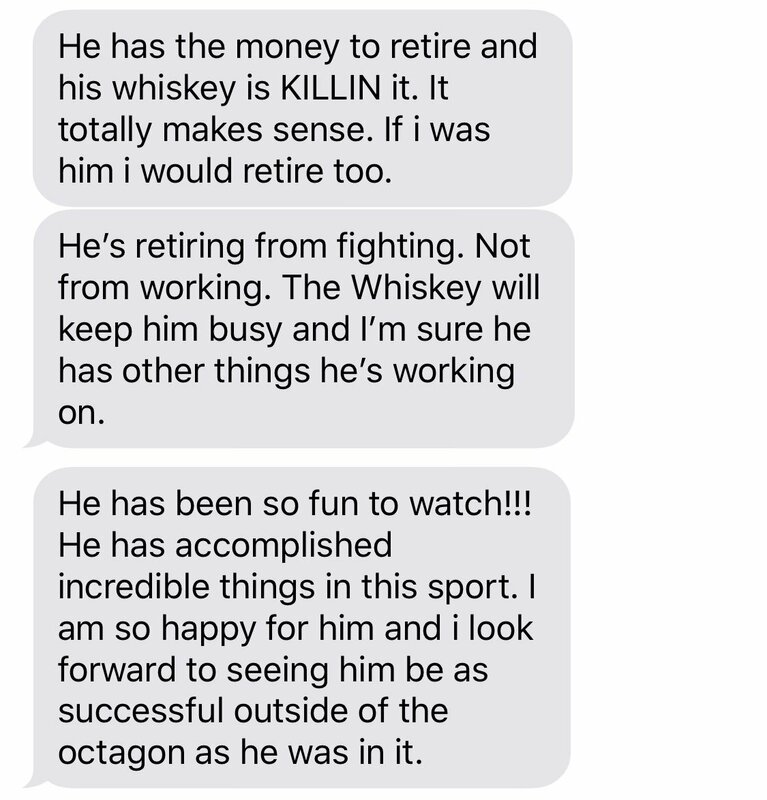 Dana White said "He has the money to retire and his whiskey is KILLIN it. It totally makes sense. If I was him I would retire too. He's retiring from fighting. Not from working. The whiskey will keep him busy I'm sure he has other things he's working on." Do you think it was worth his time to retire?